Why Choose our Real Estate Theme? Our theme is designed to provide a large assortment of features that aid in the selling of properties. Customizable search bars allow the customer to easily sort properties by filters like the number of bedrooms and/or the price. Property listings with pictures, video, maps, and information! We made a conscious decision to include the real estate plugin separately. It is free and can be found on github. So many developers put real estate-centric stuff (like listing creators) right into theme. But putting all of the features into the theme code can lead to headaches. Updates to WordPress in the future can get messy and having everything there all the time can make a website run more slowly. Not everybody wants to “supersize” their website! What if you decide you want to use our theme for something different than real estate? It is gorgeous and ready for mobile phones & tablets after all. It is important that your theme has value, even after the fact. Because the plugin is downloaded by itself and not built-in to the theme, you can get more life out of the theme you either acquired for free or purchased. Built to work on most any device. Give the free version a shot. If you like it but wish you had a bit of extra support, there is always the pro theme. Like many of our premium options, the paid version of this real estate theme provides you with a direct line of contact and more importantly support with our WordPress agency when there is an issue with the theme. For the developer or designer out there, the pro version of the theme also gives you access to more colors, font styles, and even custom CSS style and script functionality. We are constantly creating new things, and we want you to know about them! 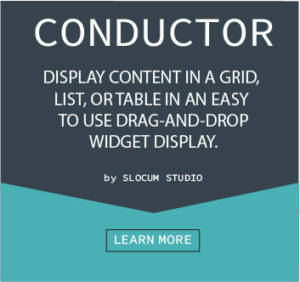 Subscribe to get notified when we release new themes, plugins, or services. Need something a little more custom? We are a custom WordPress agency; we would love to help.